Warmer days are finally here (kinda). It was unseasonably warm in New York this week with a 71 (!!!!) degree Wednesday in February. It goes without saying, but there is nothing better than a random summer day in the middle of winter. Suddenly everyone is rolling in the grass at the park, or drinking an aperol spritz al fresco, as though it didn’t just snow last weekend. Even the tiniest taste of warmer weather had everyone in the office packing away their winter wardrobe and online shopping for the perfect dress to wear sans tights. If you’re anything like us, your eyes are on the blooming flower filled sunshine days of spring. 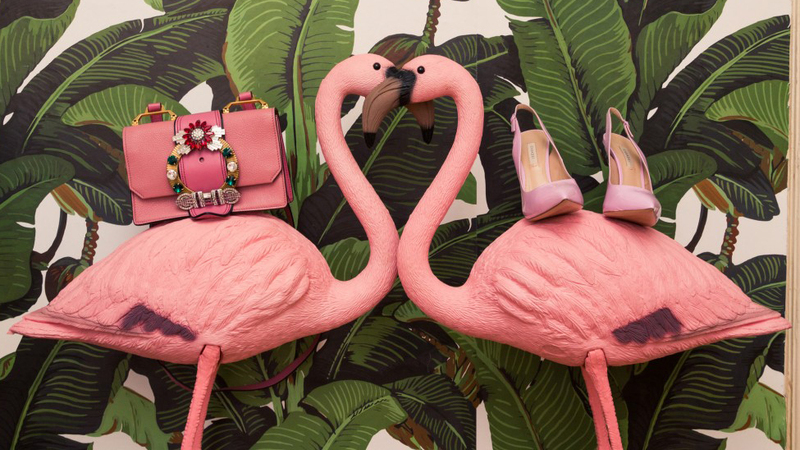 Here are 15 things we recommend you add to your wardrobe STAT, spring IS only six (!!!!!) days away after all. 1. 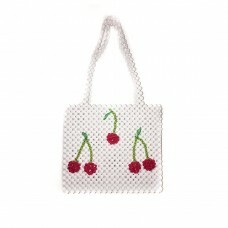 Susan Alexandra Ma Cherie Bag: If you ever have the pleasure of meeting Susan Alexandra, you’ll immediately understand why everything she makes feels so happy. It’s because she is the physical incarnation of happiness, rainbows, and fun herself. Her Ma Cherie bag is also the physical incarnation of all my best dreams and I know it’ll make all my outfits a little bit sweeter. 2. 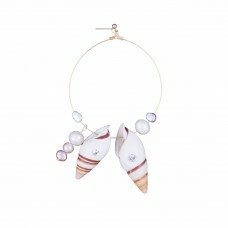 Wald Berlin Hypnotize Hoop Earring: Seashell jewelry is finally happening, and I couldn’t be happier. I recently bought an amazing pair of thin gold hoops with shells an Etsy, and today someone told me the way they looked with my long hair gave them mermaid vibes. The mermaid aesthetic is something I can absolutely get behind for spring, which means I’ll need to take my seashell jewelry to the next step with these insanely good oversized hoops. Plus, they’ll remind me of the beach on days I’m stuck in the office. 3. Courtyard LA Ruffle Poet Blouse: Nothing’s better than a perfect white blouse, which is why I ordered this one last night at 2AM. I tend to wear a lot of things (see my above two accessory choices) all at once and a blouse like this Courtland LA one is a great base for my layered looks. The easy elegance of it makes me look totally not insane. 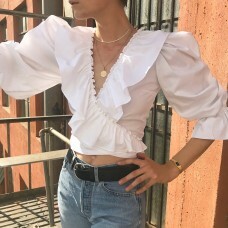 As a Spanish lady (and the flamenco emoji’s number 1 fan) I also greatly appreciate all of the ruffles and can’t wait to pack this top to dance through the streets of Spain with my family this summer. 1. Intentionally Blank Mary Jo Lilac Leather Pump: Intentionally Blank is definitely making the coolest shoes out there right now, and this sweet pair of leather heels NEEDS to be on my shoe rack, asap. I’ve been a fan of everything purple my entire life, but since lilac was spotted all over fall 2018’s NYFW runways, I’m ready to jump on this trend bus and ride it straight into a field of flowers. 2. 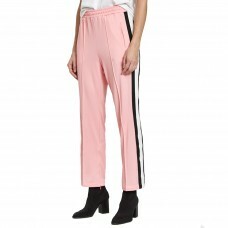 Ganni Dubois Polo Pants in Sea Pink: Sensing a theme here? When the weather and season allows me pastels, let me cover myself in pastels, damnit! Pants that are comfy enough to let me eat an extra serving of beets AND that are cute enough to fool people into thinking I’m put together? I’ll take ‘em. 3. Simon Miller Blue Nubuck Bonsai Bag: Lest you think I’m letting any dark colors near my spring wardrobe, here’s another dreamy piece to add to the candyland: this perfectly lovely Simon Miller bucket bag in the perfect shade of seafoam/mint/cerulean. The size will force me to spring-clean my usual gigantic tote, and the gorgeous hoop handles mean I can easily sling it over my wrist while carrying an iced (lavender!) latte. 1. Daisy Broderie Lace-Up Corset Dress: This dress has been sitting in my shopping cart for quite some time now. I keep coming back to it and finding a new detail I love, whether it be the lace-up corset, the ribbon-like shoulder straps, or the ruffled hems. Basically, it encapsulates all that is spring, and I need it. 2. Crap Eyewear The Wild Gift: I lose everything, sunglasses often included. 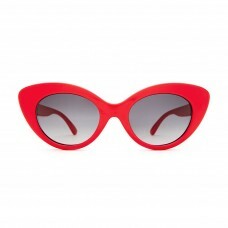 This season, I am *determined* not to lose a pair again, and these red Crap Eyewear sunnies are way too cute (and bright) to misplace. But just in case I do, I think I may have to purchase them in every color. That makes sense, right? 3. Nicole Saldana Black Flower Stud Platforms: I own way too many sneakers, so new sandals are a must for me this spring. These chunky Nicole Saldana platforms are so dreamy, and would go perfectly with my Daisy dress! 1. 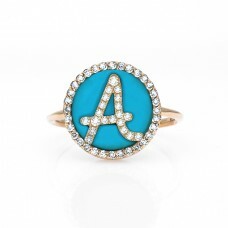 Noush Treasure Disk Initial Ring: I’m having a baby, like, any second. I don’t have a name for him yet, but the second I do, I’m ordering a Noush ring with his first initial to celebrate. I love the lapis and turquoise backgrounds, and that it’s personal, without feeling too sentimental and precious. 2. Miaou Morgan Plaid Pants: The very next thing I’m buying? 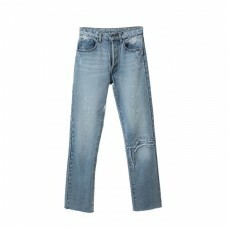 A pair of non-maternity pants because halle-f*cking-lujah, I can wear real clothes again. I’m not usually one to jump on trends, but I’m finding the classic red tartan pants thing pretty irresistible. 3. Roksanda Satin Gown: This is more typically *me* and I can see myself wearing this every. single. day. It’s heaven. 1. Nike Air Max 93: Spring marks the moment that I can jump back into my sneaker closet, adding a few new pairs to the mix while I’m at it. 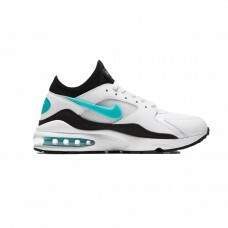 These Air Max 93s are up first. 2. Elizabeth Sulcer x Miss Sixty Jeans: There’s no doubting Elizabeth Sulcer’s taste, so I’m not overly surprised that I’m a fan of her new collection for Miss Sixty. These jeans will look perfect paired with one of my faves; an oversized Infinite Archives t-shirt (you can cop one of these in-store at RSVP Gallery). My coziness will be at an all-time high. 3. 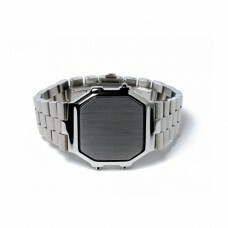 Ambush Timeless Watch Bracelet: What’s a new season without a new piece of jewelry, amiright?